Tim Roten has been in the construction business since working with his father, a successful remodel contractor. From framing in 1974 to home building in 1984, Tim Roten has built a strong reputation in building quality homes at reasonable prices for many satisfied customers. Unlike the ordinary builder, Tim has covered every aspect of building a home. He takes an active role in his business by involving himself on the job site every day, providing quality assurance, and overseeing the site making sure things are done right. At Roten Homes, we take a different approach in building your home. From the moment you see one of our homes, you notice a difference. The first thing you might notice about our homes is the extensive brick and stone work. We know what you think, “How much extra is that?” None, it is already included in the price, as well as everything else you see in a Roten Homes. Everything in our homes is available at our standard prices. A price that you will find beats most of our competitors. How do we do this? Tim Roten has worked really hard at cutting prices by buying in bulk, importing, or just better management practices; so he can pass those savings on to you. Our goal here at Roten Homes is to do our best to make you happy and give you the most home for you dollar without sacrificing luxury or quality. Court Holmberg was introduced to the construction business as a Lubbock High School student working summers for a variety of the subcontractors employed by his step-father's company, Ron Bassinger Homes. Shortly after marrying his high school sweetheart Connie in 1978, Court enlisted in the United States Air Force, eventually serving for 25 years before retiring as a Lieutenant Colonel in 2004. During Court's career in the USAF, he earned advanced degrees in electrical engineering from Texas Tech University as well as a PhD in applied physics, and he led Air Force Research Lab Research and Development efforts in a variety of high-tech weapons systems. However, despite all his high-tech endeavors, Court never lost his interest in home construction and renovation as he and his family moved around the country leaving a trail of home-remodeling projects along the way. When family circumstances brought Court & Connie back to Lubbock in the Summer of 2004, he began working again with Ron Bassinger Homes, and Court's love of the construction industry was immediately rekindled. Court & Connie started Court Holmberg Homes, LLC in the Spring of 2005, and since then they have built well over 100 homes in Lubbock and the surrounding area, focusing on quality design and construction and attention to detail on every one. Their homes can be found in neighborhoods like Bushland Springs, Meadows South, Bacon Crest, Preston Hollow in Wolfforth, the Estates at Vintage and many more. Whether you are interested in a Spec home Court has already completed or a completely new-design custom home from a fresh sheet of paper, each project gets Court and Connie's personal attention and is designed and built to its highest quality with expert craftsmanship. Court and Connie always have one or two Spec houses either finished or in progress, so come see what makes Court Holmberg Homes one of Lubbock's best-kept secrets in the home-building market! Contact Court & Connie for your next New Home Construction project or just to see what they have going on at the moment; you'll be glad you did! David Rogers Homes is a family owned and operated business with deep roots in West Texas. Since its inception in 1987 David Rogers Homes has built hundreds of homes for families in and around the Lubbock area. David Rogers Homes has become one of Lubbock's largest and most trusted homebuilders by adhering to some simple, yet very important principles. At David Rogers Homes, we realize that building a new home is a very personal decision. While remaining one of Lubbock's largest builders, we still maintain the flexibility necessary for you to personalize your new home to fit your individual needs and lifestyle. There are no standard floor plans that cannot be altered or option lists with only limited selections. Our floor plans and options are limited only by your imagination. This allows us to offer you much more flexibility than tract builders. We also realize that providing the highest level of customer service takes a staff of dedicated professionals. From our in-house sales staff, to the construction manager, construction superintendents to our full-time warranty department, we are all committed to making building your new home an exciting and rewarding experience. 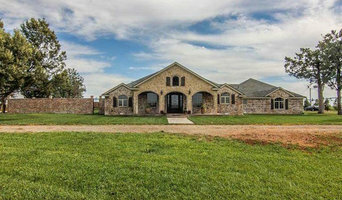 Custom Homes by Robert Wood specializes in top quality custom homes and expert home remodeling services in Lubbock, TX and the surrounding area. With more than 30 years of experience, we can help you to bring your vision of your perfect home to life. We will take the time to discuss your needs, wants, and lifestyle to design and build a home that meets your high expectations for quality, function, and overall appearance. With custom cabinetry, granite countertops, and hardwood floors, our homes offer all of the high end features you expect. Robert began working in the building industry in 1979 on the supplier side of the business. In 2002 he started Custom Homes by Robert Wood and began fulfilling his dreams of being a home builder. His home building knowledge and experience is vast; if he is building a sensible first time home for a family, a garden home for a retired couple, or a million dollar home, he strives to have superior craftsmanship and attention to detail. Robert’s success story is simple: he spends quality time with his clients, he learns about them and their lifestyle, and because of this, he is able to build exactly the home they desire. The philosophy of Custom Homes by Robert Wood is that your home is your palace; "Building Custom Homes One Dream at a Time" has always been our slogan. Our staff's home building knowledge and experience are vast; if we are building a sensible first time home for a family, a garden home for a retired couple, or a million dollar home, we strive to have superior craftsmanship and attention to detail. Mike Becknal & Company, Inc.
For the past 24 years, Celebration Homes Owner and President, Dan Hines, has been involved in the Lubbock residential construction industry. Dan gained valuable knowledge from the real world of construction with hands-on experience in home remodeling as a young man. 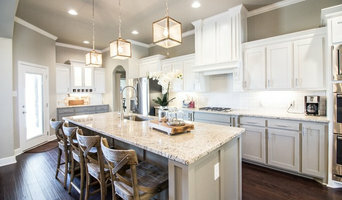 Since 1999, Dan has been building beautiful homes as Dan Hines Construction, Inc. Today, with Celebration Homes, Dan is proud to offer a new line of homes for West Texas with a very distinct and unique product with a special focus on making the building experience personable and fun for every client. Celebration Homes takes great pride in building our homes with exceptional quality and workmanship. Kevin W. Ninemire, President of Milestone Homes Inc., grew up in Lubbock and attended Texas Tech. He moved to Austin in 1993 as a building superintendent for Brighton Homes. After spending almost 5 years there, and over 2.5 years for David Weekley Homes, Kevin started his own company. 20 years of experience has taught him that quality does matter and his success depends on customer satisfaction. 10 years ago, Kevin relocated his business to Lubbock to be closer to his family, and because he believes in the Lubbock economy and the future of the construction industry. Rick and Randy McGuire are leading and innovative builders in the West Texas and South Plains area. They have successfully completed many complex custom projects and are known for outstanding customer service. The McGuire’s build in all price ranges and in most of the desirable locations. They are also known for their work with West Texas farmers and ranchers. The McGuire’s were born in Lubbock and lived in the community for the vast majority of their careers. Both are active members of the community and the building industry, and past presidents of the West Texas Home Builders Association (WTHBA). Rick is currently serving as President of the Texas Association of Builders (TAB). Rick was the 2009 TAB “Builder of the Year”. Randy specializes in custom designs. He is known for his traditional designs, and for his cutting edge ideas. His work with leading national architects has brought the latest designs to West Texas. Mike Thoma has been building high quality homes and businesses in the Lubbock and surrounding area for over 30 years. Mike is the only certified "Energy Star" builder in Lubbock building homes that are not only among the most energy efficient but some of the highest quality homes in the Lubbock area. Mike is the only Lubbock builder with a Masters degree in Mechanical Engineering from Texas Tech. We are a west Texas Homebuilder mixing classic elegance with modern luxuries. We are inspired by so many things, but mostly, we are inspired by homes that span eras. For Toogood Built Homes, timeless designs is not just an idea, it’s our mission. We don’t want your home to be defined by a decade; we want it defined by unending appeal. It’s the experience you feel when you stay in a beautiful hotel. It’s feeling light and refreshed. It’s seeing something over and over again yet finding something striking about it each and every time. It’s graceful and sophisticated; crisp and clean. In a word, it’s effortless. At Toogood Built Homes, we want you and your family to experience all of this -- to feel as though you have walked into a hotel where you kick back and relax – experience family – and leave the world…well, to the world. We know that building a home is a massive undertaking. We know that there is a lot of stress. And, we know there are a lot of unknowns. That’s why we want to take the stress of home building out of your hands and allow you to keep dreaming–Dreaming about the future. Dreaming about your kids or grandkids playing in the back yard. Dreaming about the memories to come. When you choose to build a Toogood Built Home, we will take those stressors away and allow you to keep dreaming. We don’t have a choice — With a last name of Toogood, and a business named Toogood Built Homes, the only option we have is to build a quality home, and that’s exactly what we do. From ensuring we only use the best sub contractors, to the details in the framing like 2×12 headers above doors and windows, tripling up on load bearing beams, hand crafting our cabinets locally, and only using the best vendors to supply our products, we are committed to excellence. Daily, we are on site ensuring that the quality we stand behind is met. We know that we are not just building a house; we are helping build your future, and we don’t take that lightly. Anderson Fine Homes is a full service design-build firm specializing in custom home design. We have over 30 years of experience in the home construction industry and offer one-of-a-kind home plans to fit the lifestyle of each client. Anderson Fine Homes is a partner company with ADC The Design-Build Group, which specializes in commercial design and construction. Experience. Stability. Consistent. All qualities one would look for in a person of any profession, and when that person is in charge of constructing your new home, it is even more impressive. Mike started his career as a framer over 40 years ago and has established a reputation built on integrity, quality and value. Mike is supported by a dedicated team including Lucas Dannheim, who brings a modern outlook to design coupled with the ability to visualize and build Lubbock’s most sought after custom wood work. The finishing touches are provided by Mike’s wife, Jamie, who has over 15 years of decorating experience. Mike’s recipe for success includes his hands-on approach from beginning to end that consistently delivers your vision and ultimately makes your house into your home. On a personal level, Mike is a Lubbock native where he enjoys spending time with his family and most importantly his 4 grandchildren. His passions include hunting and traveling. Mike is driven by a constant desire to seek and find new housing designs and creative inspiration both domestically and abroad. Today, Mike’s team continues to define quality and they look forward to working with you to build the house of your dreams. 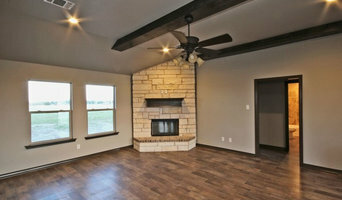 Our main focus is providing high quality homes at an affordable price in Lubbock, Texas. After years of experience building high end custom homes under the name of Jeff Seal Homes of Distinction, the Jeff Seal team decided to bring the same quality and design features to a new line of homes, Ventura Homes. The company was established in 2002, and has only grown, increasingly bringing more functional and unique designs to the area. We work to provide floor plans and houses that can improve daily life through functionality, allow for socialization and activity, provide a place for relaxation, and give a unique appeal to the home owner. We find satisfaction in helping clients find the perfect house specifically for them and seeing their happiness as they obtain their dream home! We currently build in numerous neighborhoods including: Kelsey Park, Primrose Pointe, Cooper Ridge, Fox Ridge and Cedar Park. For Smyer residential home builders who also act as developers, the job starts well before the first nail is driven. They perform local market research to determine whether the prospective homesites make sense in the Smyer, TX market, as well as survey the land on which the house will be built to make sure it is suitable for construction. Custom builders also obtain the necessary permits. 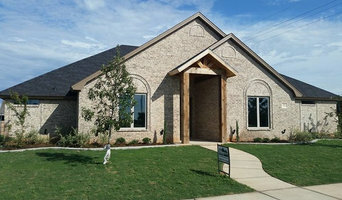 A good custom home builder in Smyer, TX has skills that go far beyond construction — he or she must supervise subcontractors and artisans; keep tabs on local zoning regulations, building codes and other legalities; inspect work for problems along the way; and perform dozens of other roles that are essential in building a quality house. Here are some related professionals and vendors to complement the work of home builders: Interior Designers & Decorators, Landscape Architects & Landscape Designers, Architects & Building Designers, Kitchen & Bath Designers, Specialty Contractors. House builders are responsible for ensuring that the home-building project sticks as closely as possible to the specified timetable, particularly in the event of change orders. Custom and luxury home builders in Smyer, TX also need interpersonal skills to deal with clients of all types, soothe frazzled nerves, negotiate conflicts and resolve problems. 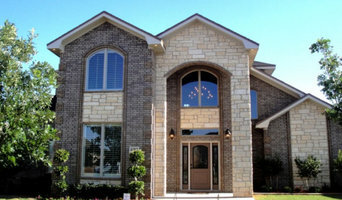 Find custom home builders in Smyer, TX on Houzz. Narrow your search in the Professionals section of the website to Smyer, TX home builders. You can also look through Smyer, TX photos to find a house you like, then contact the builder who worked on it.